Following a seven-year hiatus, N.E.R.D seems to be in collaboration mode now. The group just released “Lemon” featuring Rihanna, and now, the trio is teaming up with adidas for a new collection. The Fall/Winter 2017 Training Gear performance capsule is inspired by Pharrell Williams, Chad Hugo, and Shay Haley’s “inimitable style,” adidas said in a statement released Wednesday. 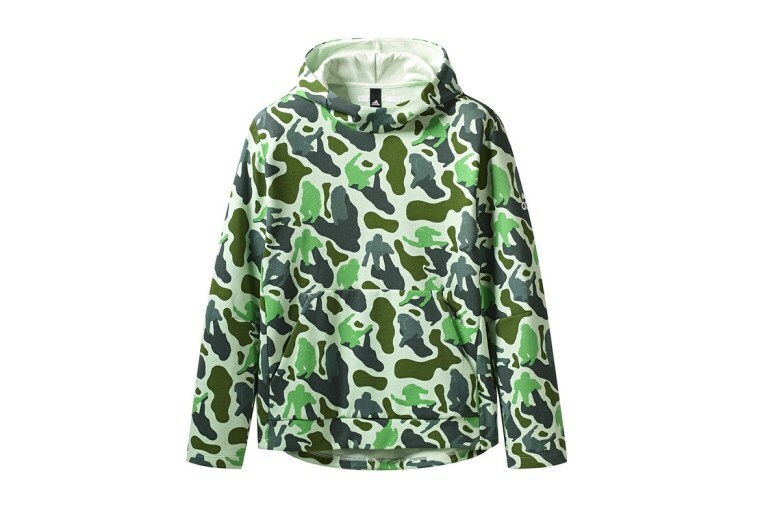 Korean artist Buzcha has created an exclusive, camouflage print in an arrange of eight shades for the 88-piece, unisex collection, which includes T-shirts, hoodies, shorts, as well as TECHFIT tights and bras. The collection is set for a global release on November 6 at select shops, adidas flagships, the Billionaire Boys Club Japan flagship, and online.